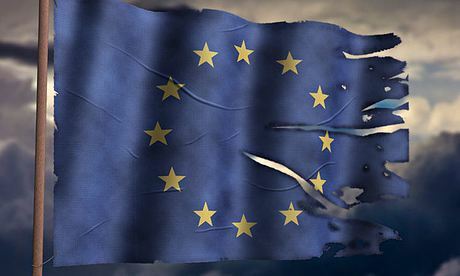 In a little over seventy eight days the United Kingdom will vote on whether to stay or leave the European Union, it will be a close vote and people will decide having been subjected to a campaign based on fear. Fear of what will happen to the UK and its peoples if we vote ‘Leave’, because that is what works. However, that cuts both ways. As someone elsewhere pointed out, everything the EU touches turns to dust. Their statist, authoritarian approach to hammer the peoples of Europe into some multi-cultural Eutopia is a failure, all you have to do is look around you and see the ghettoes, the no go areas and the regular media reports of rioting and terrorist attacks emanating from these very same ghettoes. Then there’s the EU economy, EU foreign policy, EU trade policy, CAP, CFP . . . .
And that is why despite being pissed on from a great height while being told it’s actually raining rainbows and sunshine I am optimistic. I am optimistic because the whole project is such an obvious and spectacular failure. It is ending, whether the UK votes to stay or leave it matters not.